Can Your Ethnicity and Your Genetics Affect Gum Disease? Not everyone is equally susceptible to periodontal disease. For example, men have higher rates of periodontal disease than women. In addition, people of different races and ethnicities also differ in terms of their oral health. the groups age, with 47 percent of whites age 55 to 90 having periodontitis, compared with 59 percent of Mexican Americans and 70 percent of blacks. compared with 68 percent of non-Hispanic whites. periodontal disease, likely due to an increased susceptibility to contracting infection. No matter how susceptible you may be to periodontal disease, if the bacteria responsible for the disease are kept under control with good oral hygiene and frequent dental visits, you are not sentenced to a life with periodontal disease. Recognizing your risk factors may help you control for them, so talk to your periodontist about them. A genetic marker strongly associated with periodontal disease does not play a role in the high prevalence of periodontal disease in people of Chinese heritage, according to a study in the Journal of Periodontology. 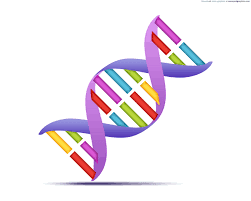 A separate study confirmed that people of Northern European origin who have the IL-1 genotype are more than five times as likely to develop periodontal disease, making oral hygiene habits, smoking and genetics among the top risk factors for periodontal disease. The study concluded that giving dental patients a genetic test, which can be performed through a saliva sample, before they even show signs of periodontal disease and getting them into early interventive treatment might help them keep their teeth for a lifetime. The test may be most useful for specific cases, such as for patients with advanced periodontal disease who seem to lack other major risk factors, for adults considering orthodontic treatment that could make them more susceptible to bone loss around the teeth, and for patients considering extensive treatment to save teeth jeopardized by periodontal disease. However, the study questions the usefulness of genetic testing for Chinese patients until further research is done. Future studies may determine if other gene candidates contribute to periodontal disease in Asians. The Disease in Your Mouth Can KILL You! Here it is again....another article tying your health to the health of your mouth!!! Folks, it's for real, the disease in your mouth can KILL you! If you haven't seen your dentist or have been putting off treating your gum disease....NOW is the TIME! This article provided by Roberta Codemo is a freelance health journalist. She opened Codemo Writing Services in 2012. A Springfield resident, she can be reached at codemowritingservices@gmail.com. The mouth serves as a gateway to the body. There is a connection between oral health and general health. Our mouth can tell us whether we’re at risk for developing chronic inflammatory health conditions, such as cardiovascular disease and diabetes. 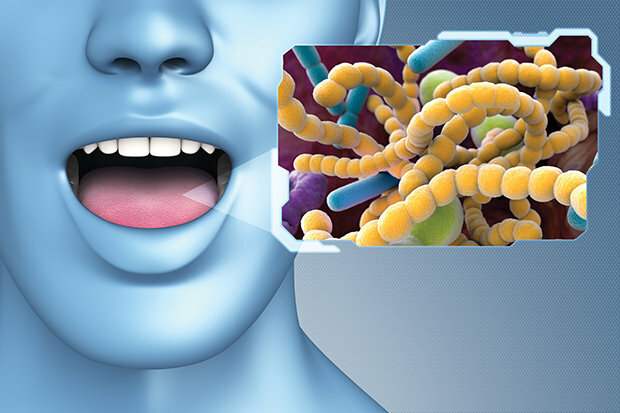 More than 300 different kinds of bacteria live in the mouth. While some bacteria are beneficial and help protect us from disease, other bacteria can cause infection in the gum tissue that leads to inflammation and over time to gingivitis which, if left untreated, progresses to periodontal disease. Periodontal disease is the most common chronic infection in this country, writes Bradley Bale, M.D., and Amy Doneen, ARNP, in their 2014 book, Beat The Heart Attack Gene. A recent study by the American Academy of Periodontology found that 50 percent of adults age 30 and older have periodontal disease and 70 percent of adults age 65 and older have periodontitis. Most people aren’t aware that they have gum disease. In the early stages, gum disease is painless. It begins as gingivitis, which is characterized by bleeding gums when you brush and floss. “There is no such thing as normal bleeding in the mouth,” said Dr. Edward Segal, a periodontist in Northbrook and past president of the Illinois State Dental Society. As the disease progresses, it’s known as periodontal disease, and is characterized by inflammation of the gum tissue, presence of disease-causing bacteria and infection below the gum line. Signs of periodontal disease include bad breath, puffy or receding gums, loose teeth, pockets of pus between teeth and gums and changes in bite. “Periodontal disease is a root cause for heart attack and stroke,” said Dr. Craig Backs of Springfield, who operates the Center for Prevention of Heart Attack and Stroke. Recent research shows that people with periodontal disease have triple the risk of heart disease and stroke. “We’ve known for a long time that bacteria in the mouth can increase the risk of arteriosclerosis,” said Backs. Studies have analyzed the plaque material removed from the arteries in the heart and compared this bacteria to the bacteria in the mouth. It matches. Periodontal disease is an inflammatory condition. As the disease progresses, it triggers an immune response in the body. To fight it the body produces cytokines, which are proteins made by our immune system that act as chemical messengers. This inflammatory response can exacerbate chronic inflammatory diseases in other parts of the body. When oral bacteria enters the bloodstream, it travels throughout the body and can attach to the fatty plaque inside the coronary arteries, causing inflammation in the wall of the artery. The inflammation further causes plaque to build up inside the arterial wall, leading to a condition called atheroscelerosis, or hardening of the arteries, that can lead to blockage and eventually a heart attack. “It’s a cascading event,” said Backs. “It’s important to detect the disease early to avoid consequences.” Treating and preventing periodontal disease can lower the risk of heart attack and stroke. Research shows a strong correlation between periodontal disease and Type 2 diabetes. People with diabetes are more likely than non-diabetics to develop periodontal disease. Periodontal disease is more severe in diabetics with insufficient blood sugar control. This occurs for a variety of reasons. First, diabetes sufferers are more prone to infections, and diabetes reduces the body’s resistance to infection. Second, periodontal disease elevates blood sugar levels in the body. Diabetics with periodontitis are more likely to suffer from high blood sugar levels, making it difficult to keep their blood sugar under control. Lastly, high glucose levels promote the growth of gum disease-causing bacteria. “When these patients undergo treatment for their periodontal disease, their diabetes status significantly improves,” said Backs. The challenge for the most part, however, is getting medical practitioners and the dental community to work together. “They need to share information and collaborate on patient care,” said Backs, who is working to build relationships within the dental community. Both sides need to recognize the role that oral health plays and work together to improve patient outcomes. In the meantime, people need to raise their level of personal dental hygiene by brushing, flossing and making regular visits to their dentist. By taking preventative measures, you can reverse your risk of developing these diseases. “Taking care of yourself is the best you can do for the ones that you love,” said Backs.